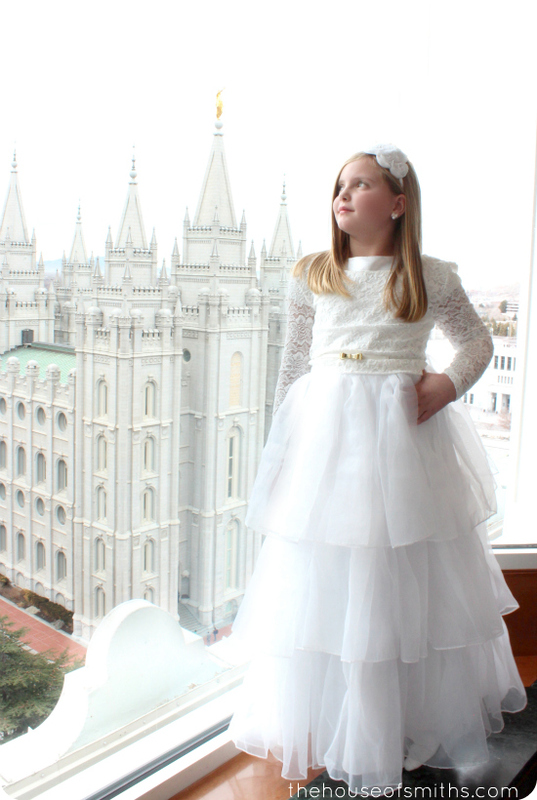 For those of you who may not know much about the LDS (Mormon) religion, instead of getting baptized when you're a baby, you do it at the age of 8 years old (or older, if you choose). 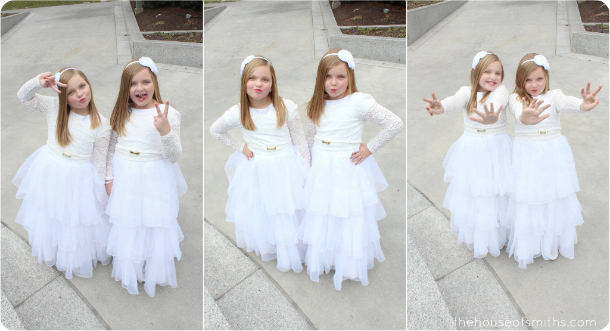 Last week our twins chose to be baptized, and I can't help but share a few too many photos from our little photo shoot at the Salt Lake City Temple! That's what we all loved so much about them! They came sleeveless, so we bought an XS lace women's crop top from Forever 21 to put over them, along with those small, white skinny belts that had tiny gold bows for the latch. It pulled the whole look together, and for two little girls who are WAY taller and somewhat bigger than the average 8 year old... we did the best with what we had, and it turned out pretty dang cute! 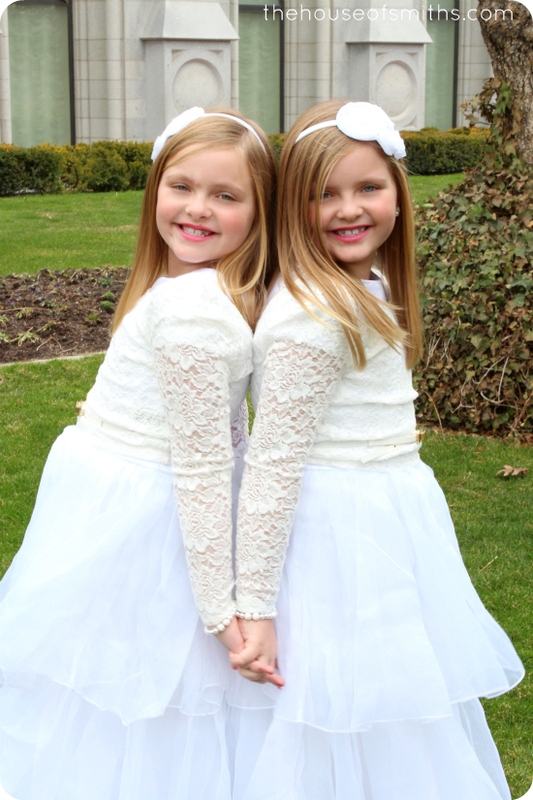 Of course the twins' favorite part about the dresses were the "twirl factor". 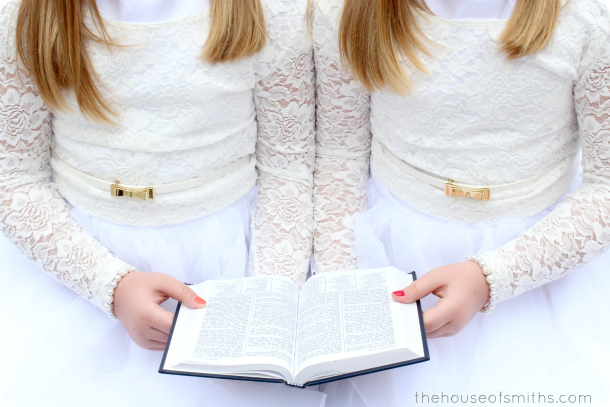 I'm so proud of these amazingly smart, worthy, faithful, kind, darling little girls of mine. They are the light in my life, and make me laugh every day. Their hugs and kisses are the best around, and you'll never find anyone more social or willing to make another person feel included than these two. Their smiles are infectious and their positive, helpful energy radiates from every fiber of their being. I'm so blessed that they are mine. I don't know what I did to deserve them in my life, but I am SO happy and lucky that they chose me to be their Momma. ... more on the actual baptism day soon! PS: sorry for the quick update, but I figure something fast is better than nothing at all! Things are moving at a rapid pace around here and big changes are happening! Can't wait to share more! Adorable!! Pictures to love for forever!!! Thank you for sharing. By the way, I'm such a dunce on Temples, but what Temple is that?? I know I'm going to be embarrassed when you tell me!! We're going to be making a trip to the Newport Beach Temple (Ca) in a couple of weeks for my daughter's wedding and then the first of May to the Bountiful temple for my grandson's wedding. Busy time right now!!! Thanks again for sharing these!! They are definitely always including my little girl, love that about them too! I am 63 years old so I NEVER go sleeveless. I never thought of putting a lace top or any top over a dress and I have passed up quite a few dresses because it was too hot to wear a jacket. What a wonderful idea. Your girls are absolutely beautiful. Thank you for sharing their most wonderful day. They look gorgeous! Congrats cute girls! God bless your daughters on their beautiful day. 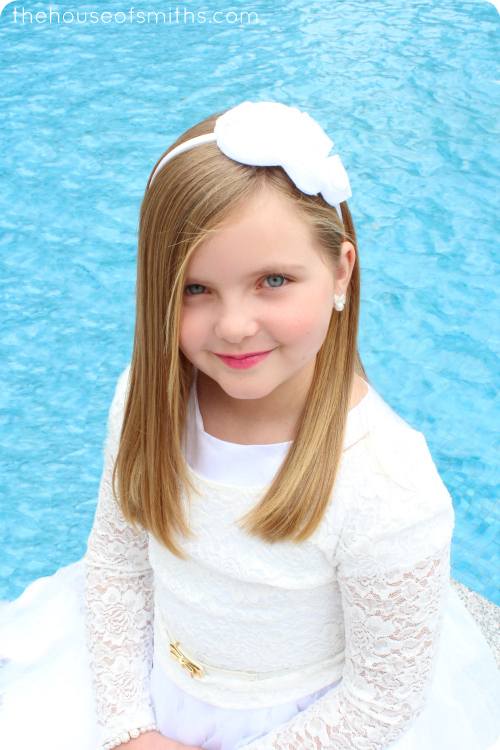 The dresses are fabulous and your daughters radiate charm. Truly enjoy your blog, your inspirations, and your family. They are so beautiful! Congratulations on the baptism. What good little examples they are! adorable. How can they be twins and yet I think one looks like your hubby and one like you and they also look alike... Beautiful ladies! What beautiful pictures! 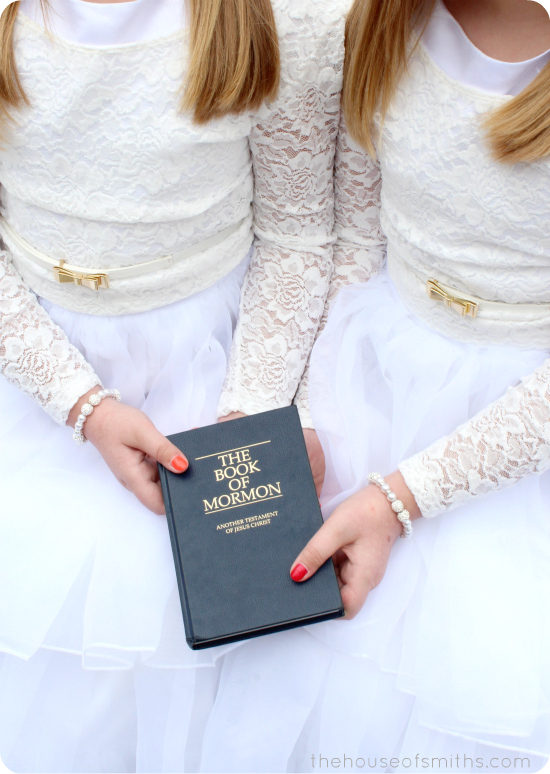 I'm not LDS, so learning about your religion is very interesting. 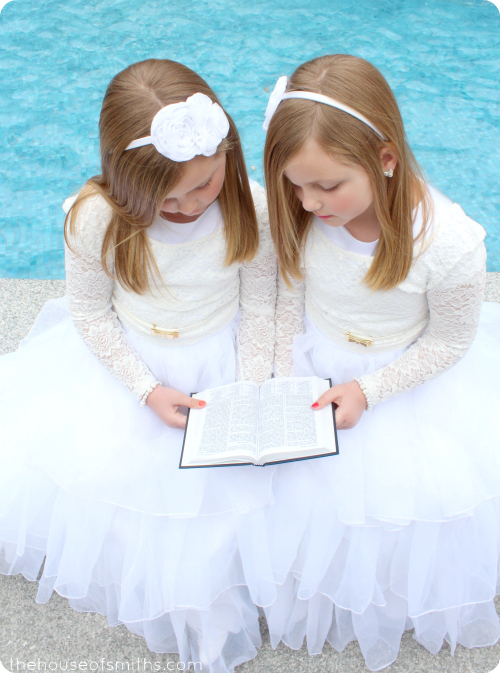 Congratulations to your girls on their baptisim. They looked beautiful. Such a blessing that they are so kind. It's wonderful they were able to share such a special day, you can see the joy on their sweet faces! SUCH CUTE PICS! Love all the temple shots. priceless. Thanks for sharing! These pictures will bring smiles for years to come. Beautiful photos. You've captured some magical shots of your girls. 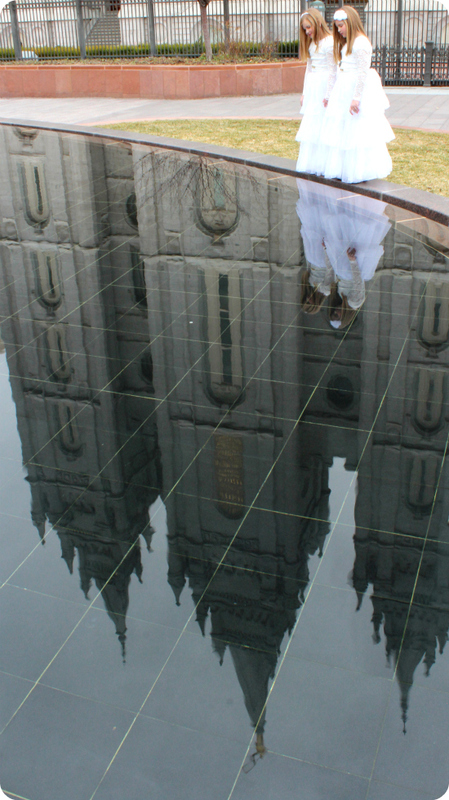 I especially like the reflection of the Temple. Congratulations all the way from Ottawa, Canada! What beautiful photos. I love the over the top dresses. Some family friends of ours are Baptists and they get baptized at an older age also. It's such a moving moment seeing an older child be baptized who chose to rather than a baby, nothing wrong with that either of course. Can't wait to here about the changed! Such pretty girls! I love how you jazzed up the dresses! Modern and demure at the same time. Congratulations Em and Joc!! You girls are absolutely BEAUTIFUL! So beautiful! thanks for sharing!!! Congratulations to the girls. That is a wonderful part of their lives. The dresses are gorgeous. Beautiful pictures. I LOVE that pic of them looking into the water with the reflection of the Temple in the back. Stunning, and my fav! We are Catholic and our daughter (who is 15) just made her Confirmation. It was so amazing as well. 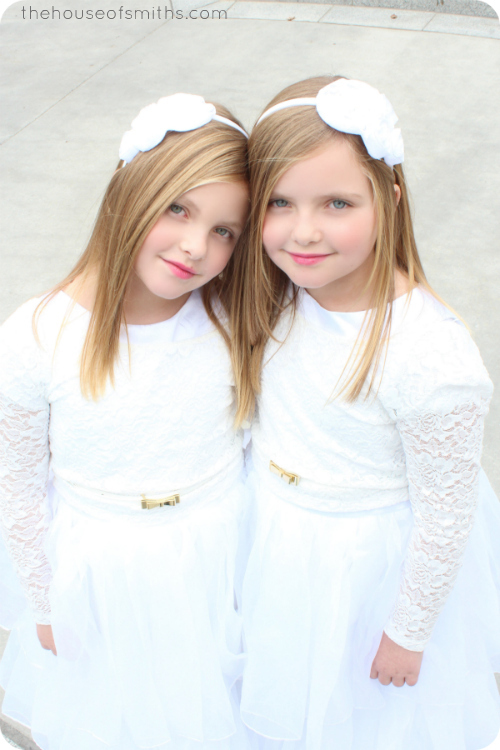 So beautiful, your girls, the dresses, the photos, everything. They are photogenic. It is a blessing to our hearts when we see our children make choices that we know will bless them and their lives in a positive way. I cried like a baby when my last decided to take the missionary discussions and join the church. Beautiful girls and I'm so impressed with the photography! Love all the shots! So sweet! Congratulations to your girls!What great examples! They look so beautiful and look so grown-up!! I love your girls (but I may be a little biased). ;) Such fantastic little ladies!! 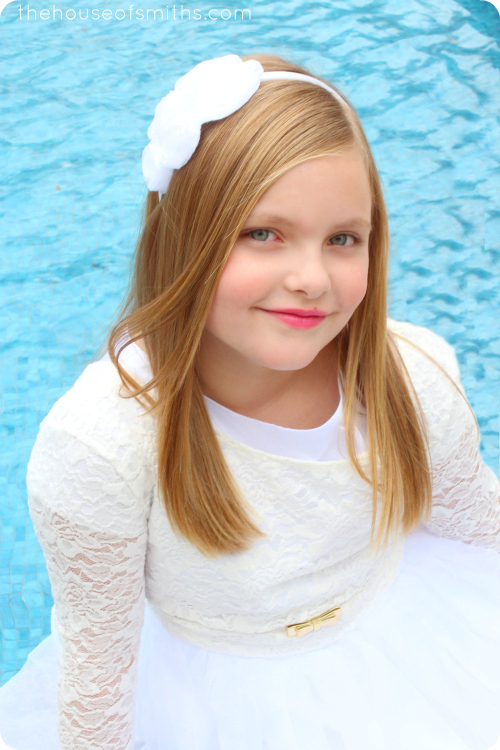 So beautiful and so adorable! 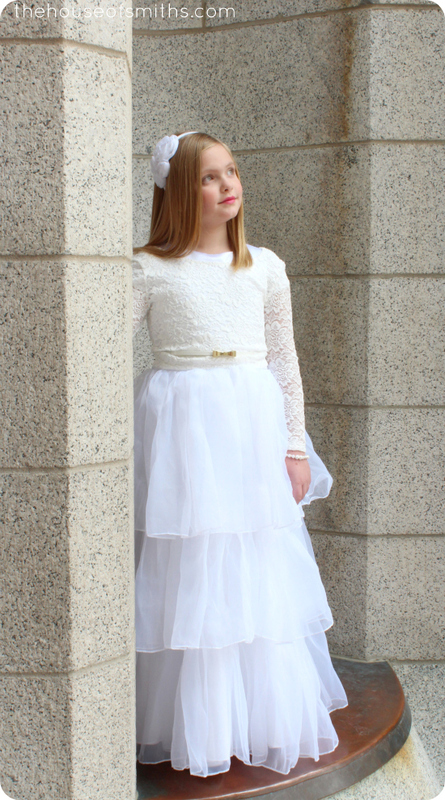 I wish I made more of an effort with my girls baptism photo shoot, we just went down the street. 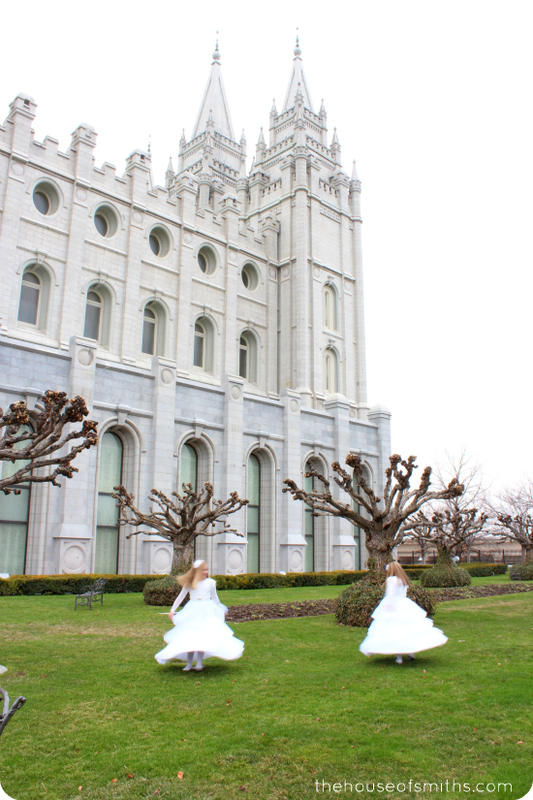 Our nearest temple is 2 hours away, so…..it just didn't happen. We got a few cute ones. They will remember this time, so special. LOVE that belt, too!